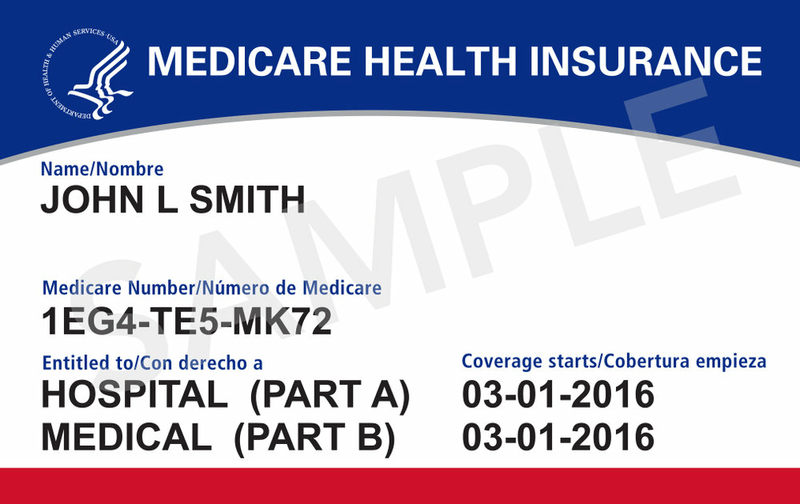 Medicare is issuing new cards to all people with Medicare. Our primary care clinic in Alameda has already seen a few patients with the new cards, so you should be receiving your new cards soon. These cards are being mailed in phases by geographic location. Because mailing takes time, your card may arrive at a different time than your friend’s or neighbor’s. Your new card will have a new Medicare Number that's unique to you, instead of your Social Security Number. This will help to protect your identity and prevent fraud. 1. Your new card will automatically come to you. You don't need to do anything as long as your address is up to date. If you need to update your address, visit My Social Security Account. 2. Destroy your old card. Once you get your new Medicare card, destroy your old Medicare card and start using your new card right away. Bring your new Medicare card to your next doctor's appointment. 3. Your Medicare benefits have not changed. Your new Medicare card will just have a different Medicare Number, which is a unique combination of numbers and uppercase letters. Your new number uses numbers 0 thru 9. The letters S, L, O, I, B, and Z are never used. One of the reasons Medicare opted to use a unique 11-character identifier instead of your Social Security Number is to prevent identity theft and fraud. Remember, Medicare will never call you uninvited and ask you to provide personal or private information to get your new Medicare Number and card. If someone asks you for your information, hang up and call 1-800-MEDICARE (1-800-633-4227).